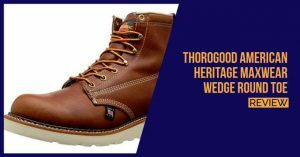 Timberland is what you would call a true American brand and it is a brand that is loved by many people, not only in the US but in many parts of the world thanks to the comfort and the overall durability that the boot is designed from. 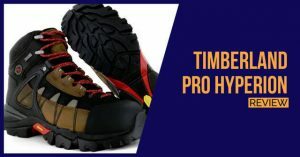 The Timberland PRO Hyperion is designed for all-terrain use and no matter how arduous the terrain seems that you are working on, this boot will hold up well. 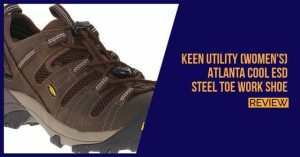 It is constructed from premium grade leather materials and this features a waterproof lining that will keep any water from causing problems inside. 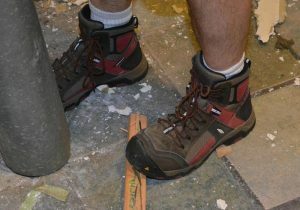 The dual density footbed seems to work in your favor if you need to spend extended hours on your feet. This will enable you to work comfortably without any hassles and the footbed molds to the shape of your feet. Testing has also revealed that it has the ability to reduce fatigue and keep you going for longer. 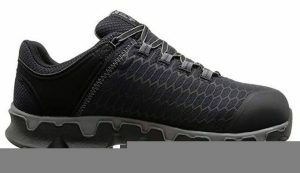 We love the inclusion of the mesh lining and this has also been designed with antimicrobial properties, which helps to reduce the amount of odor that is generally caused from sweat and being on your feet for extended periods of time. It means your boots will always look and smell fresh and clean after work. 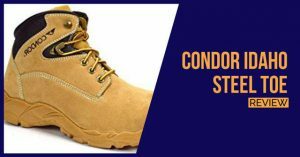 The boots are comfortable and they have great protective features that will keep you going and keep you safe in all conditions. 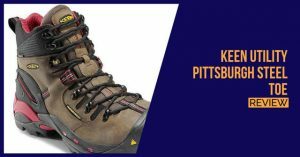 They are around the same price as most of the other boots that you would expect from such high-end brands and we would certainly recommend this as a dual-purpose boot that should help you.